Bahnsen, Greg L. Van Til’s Apologetic. New Jersey: Presbyterian and Reformed, 1998. Lebacqz, Karen. Six Theories of Justice. Minneapolis: Augsburg, 1986. Kekes, John. The Morality of Pluralism. NJ: Princeton University, 1993. Rawls, John, A Theory of Justice. Mass: Harvard, 1971. Rawls, John. “Constitutional Liberty and the Concept of Justice”. Lyons, David (ed.). Rights. California: Wadsworth, 1979. Skinner, Quetin (ed.). The Return of Grand Theory in the Human Sciences. Cambridge: Cambridge, 1990. Sterba, James P. (ed.). Ethics: The Big Questions. Massachusetts: Blackwell, 1998. Waldron, Jeremy.God, Locke, and Equality. Cambridge: Cambridge University, 2002. 周保松, “契约、公平与社会正义—罗尔斯「正义论」导读”. 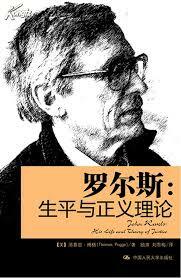 This article is an introduction to the Chinese edition of John Rawls’ A Theory of Justice (Taipei, Taiwan:桂冠, 1990). Rawls (1971), viii, and p251-257. 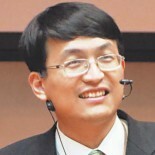 This entry was posted on 八月 21, 2014 by 陸尊恩 in Everything Else and tagged apologetics, 福音使命, 罗尔斯, John Rawls, Justice as Fairness, pluralistic society, principles of justice, redemptive history, Theory of Justice, Van Til, 政治参与, 文化使命, 正义论, 民主制度, 世界观.